If you haven't tried chasing northern pike with a fly rod, you're missing out on a ton of fun local fishing opportunities. 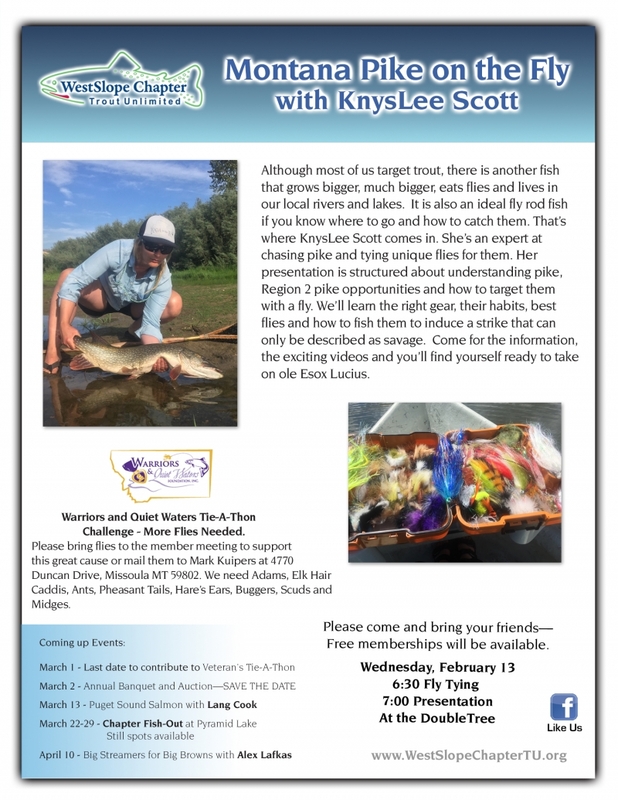 Join Missoula guide KynsLee Scott as she presents her tricks, tips, and favorite flies for chasing these amazing predators in western Montana rivers and lakes. 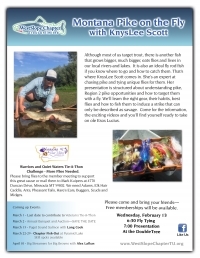 Fly tying starts at 6:30pm, with a presentation at 7pm. Also a reminder, we're hosting a guide social hour and listening session for Missoula area guides from 5:30pm-6:30pm before the meeting.